"... another significant release from one of music's brightest ... he continues to search for artistic expression with in-demand chops and inventive writing ... a stellar quintet ... the band is on top of its game, burning bright in complex yet melodic numbers ..."
"... Akinmusire stakes a claim as one of the very best musicians in jazz, or any other style of music. He won’t be contained. Neither will your emotions as you soak up this daring, fulfilling, perfectly crafted 80 minutes of music." 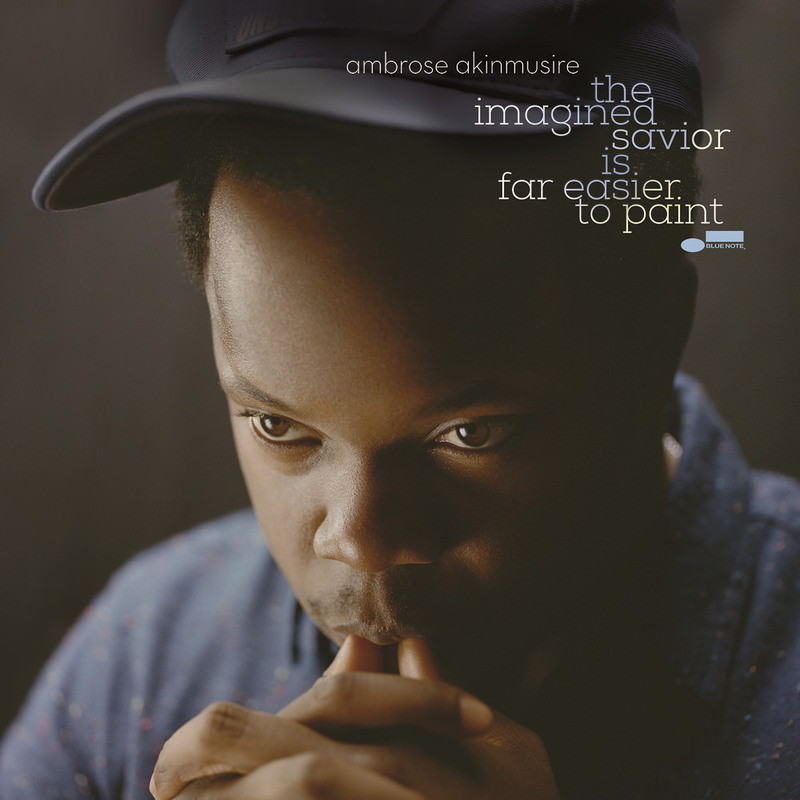 the imagined savior is far easier to paint from trumpeter and composer Ambrose Akinmusire is an impressive and expansive album that broadens the palette of his firebrand quintet with the addition of a guitarist, a string quartet and vocalists Becca Stevens,Theo Bleckmann and Cold Specks. On this album, which Akinmusire produced himself, he subtly shifts the focus away from his trademark trumpet solos to his compositions (Akinmusire wrote 12 of the album’s 13 tracks) while still leaving ample room for the band to stretch out and improvise. Hearing vocals and lyrics set to his music was a different experience for Akinmusire, who often writes elaborate storylines and unspoken characters as inspiration for his instrumental compositions.